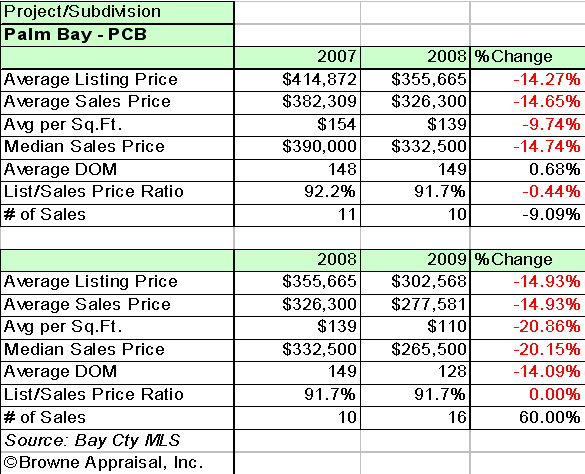 The data shown herein reflects the Palm Bay subdv. - PCB on a macro level. 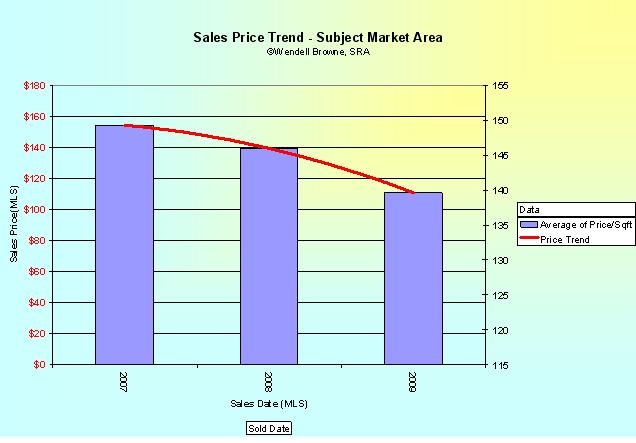 In 2008, the median sales price was $332,500 compared to the prior twelve month period of $390,000 or a -14.74% change. In 2009, the median sales price was $265,500. Contrasting the median price to the previous twelve month period of $332,500 indicates a -20.15% change during this period. While the appraiser cannot guarantee future market conditions and real estate cycles that may affect the subject property, this data would indicate that the current trend of the real estate cycle is declining.